2016 is flying by. Little little bird is still in and out of hospital and we have had some exciting new additions to the shop! If you haven’t seen them already on Facebook, we have visitors of the feathered variety. Well they are wooden actually! They have also come prepared for the British summertime in their wellies. 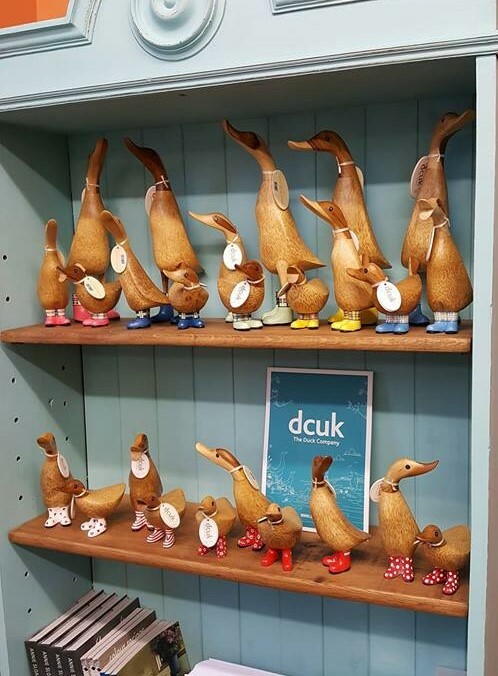 I have fallen in love with Dcuk ducks and penguins. I can’t even say why! But my collection is growing. They make fantastic gifts, come in all different varieties and family sets are discounted. 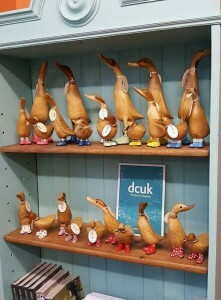 I am really excited that Lock Stock and Sparrow are stockists! Our second new addition is lampshades made with Annie Sloan fabric. These come in 40, 30, 25 and 20 cm diameters. we have personally selected the fabric for Lock Stock and Sparrow. 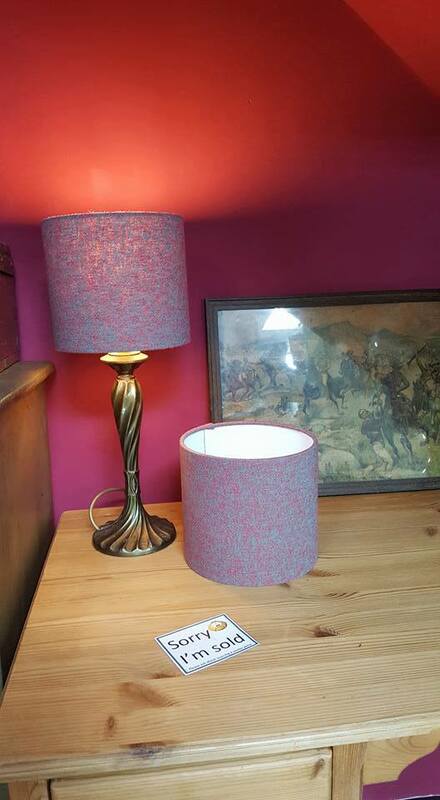 I have always struggled to find a lampshade i like in the department stores. They seem to either be very neutral or you can tell they are mass produced and sometimes a bit naff. You will not be able to buy these in any chain store and the great thing about the variety is even other shops that sell Annie Sloan fabric lampshades will not necessarily have the same ones. 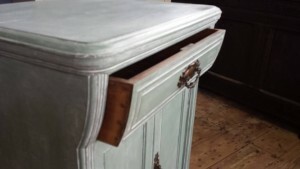 My favourite is the new linen blends that Annie Sloan has brought out in a combination of her paint colours. 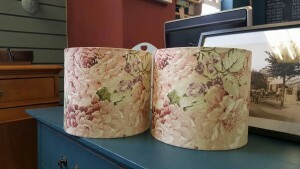 We have chosen Emperors Silk and Florence for our first batch of lampshades. You can see them here against a Burgundy wall in the shop. In my next blog i will tell you about the interior design course i am currently doing online. I am really enjoying it and it is a fantastic distraction from reality. I have picked the Barcelona Orange and Napoleonic Blue linen blend for my project but don’t tell Mike….it’s for the living room and he’s a bit colour phobic at home! 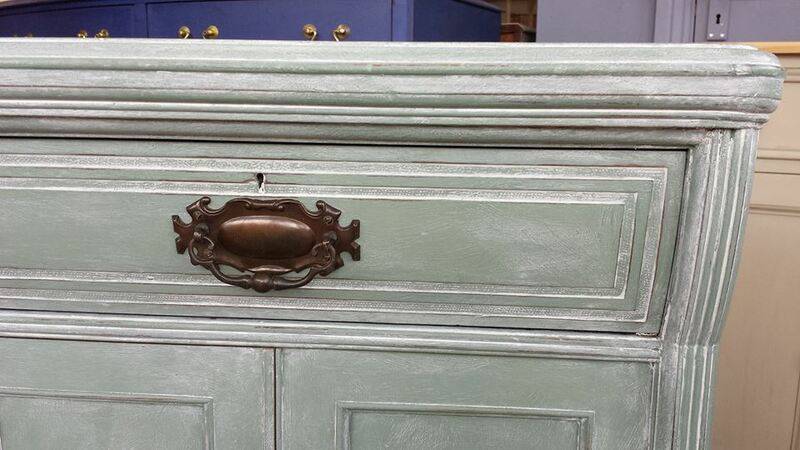 The last new addition which is proving to be a great hit with Mike is the Annie Sloan black and white wax. I think he was a little unsure at first but has continued to use it and has produced some gorgeous pieces with it. The white wax is his favourite. 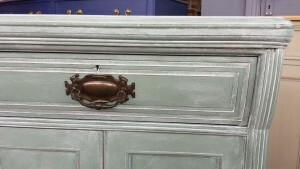 Below is a close up of the little cabinet set as the blog front picture. It sold immediately and i can see why. The picture doesn’t even do it justice. If this new wax is news to you, you’ll have to pop in and give it a go.